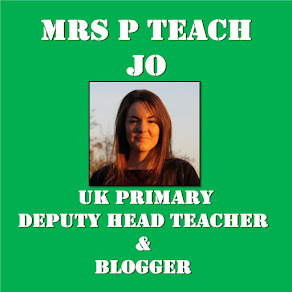 As part of a joint venture with Michael Tidd, I am collating some of the primary tweeters, bloggers and pinners who share exceptional practical ideas for the classroom. This collection of educators, through their tweets, blogs and Pinterest boards, have had a direct impact on my teaching; their ideas are sound and they are certainly worth a "follow". As the inventor of Graffiti Maths and an all-round inspirational primary teacher, Claire's ideas are always tried and tested and come with her own evaluation on their use. She tweets, blogs and pins. Sam provides a no-nonsense commentary on Education with lesson ideas and common sense theories for the primary classroom. Famous for being the creator of The Literacy Shed, Rob also (somehow) manages to simultaneously be a fantastic primary teacher. His twitter feed is full of good practice and useful resources. This lady is a fount of practical classroom ideas; whether displays, English, maths, topic - she's got it covered! With extensive Pinterest boards covering a range of education themes, Michelle is well-worth following. She is an advocate of Working Walls and has some brilliant examples on her blog and Pinterest boards. As a former ICT advisor for Hampshire, Ian's posts about technology are really useful. However, since moving back to the classroom, he provides useful ideas and resources to be used throughout primary lessons. He tweets, blogs and pins. Rachel's blog posts, tweets and articles focus on simple ideas which have made a difference in her primary classes. In the important job of training primary teachers, Sarah shares brilliant ideas for KS1 and 2 classrooms along with inspirational books and quotes from the training programme at Edge Hill University. Sway is an important UK educator to follow if you are interested in the changes being made to technology in learning. She has some specific advice relevant to BYOD and Rasperry Pi in primary education. As Early Years queen, Lisa regularly shares early reading and maths ideas, impressive display photos and ways to enhance themed areas. BONUS - There are a few secondary bloggers, tweeters and pinners who give superb ideas which are easily transferable to the primary classroom. 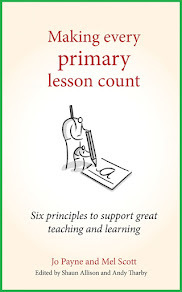 However, Rachel Jones' fount of inspirational blog posts, tweets and pins stands out from the rest so I feel she deserves to be an honourary primary teacher for the sake of this list! Michael has published a similar list of Primary leaders and thinkers here. You can follow him on Twitter or his blog. I collect and share ideas on Twitter, Pinterest and this blog.